Our friends at Engadget got a sneak peak at a new Samsung Ultra Messaging device, set to go on sale soon in the Asian markets. What makes this noteworthy is that the device is obviously running a version of Windows Mobile (check out the telltale soft buttons on the bottom, not to mention the Windows logo), but this is most definitely not Windows Mobile 6. Or if it is, it’s one heck of a plugin that makes Spb’s impressive Mobile Shell look like child’s play. The best way I can describe the new interface is a cross between Windows Mobile and Windows Media Center. Rather than tapping on the screen or clicking on buttons to go through a series of full menus for each program, you can choose programs by scrolling. You can zip through your email, contacts, appointments, and music programs very fluidly. 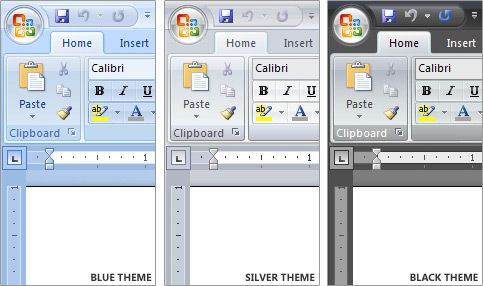 As the application comes into focus, you can flip between submenus, all from your devices main menu. I’m going to assume you can then open programs in full screen mode in order to do things that take up more screen real estate, like checking your email. No word on how long we’ll have to wait to see this new interface in the Western hemisphere. In order to get the full effect, check out the video on Engadget. In a story for the Associated Press carried on many online news services this afternoon, one of the directors of Microsoft’s Windows Client Product Planning team appears to make a curious and perhaps astounding statement. Scott Woodgate is quoted as saying that a Black Hat security conference demonstration last August, where virtualization functions were exploited to plant an active rootkit onto a beta of the Windows Vista kernel, scared Microsoft to the point where the company seriously considered removing virtualization capability from Vista entirely. Ostensibly, the AP article was about Microsoft’s decision to ban Home Basic and Home Premium editions of Vista from serving as guest operating systems in virtualization engines. This was a recent discovery for Macintosh users, though it was public knowledge for Vista users since last July, when Woodgate himself made the announcement. Virtualizing an OS as a guest, as many software architects will tell you, is not an upgrade of the host system; and many Macintosh users will certainly agree that the ability to virtualize or host Vista does not constitute an upgrade to OS X. That fact aside, the curious puzzle remains as to whether Microsoft actively considered cancelling Vista virtualization so close to the operating system’s release, and with the Virtual PC 2007 project – an upgrade to Virtual PC 2004 specifically to enable hosting Vista – already well underway. BetaNews has approached Microsoft for further comment, and we’re told it may be forthcoming. Reports from the conference the following August state that Microsoft’s then-general manager for security Ben Fathi was present for Rutkowska’s presentation, which he watched intently. Fathi later told eWeek that her demonstration was successful merely because she was using a beta kernel, and that the exploit vector she chose had already been fixed in a later build. 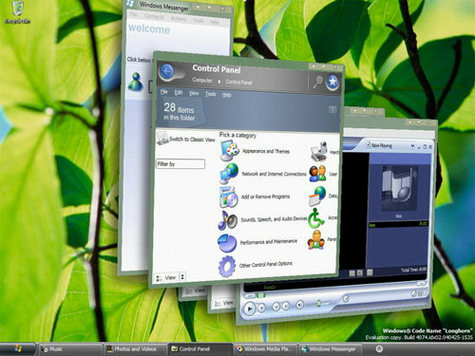 Indeed, as testers will recall, Vista virtualization was addressed in several builds between the public Vista Beta 2 and the final release candidate. Last October, Fathi was moved to a leadership position within Microsoft’s Core Operating Systems division, but by that time, the finalization of Vista’s business editions was already, and release to manufacturing was but a few weeks away. If management teams and executives at Microsoft had actually considered removing virtualization from Vista altogether, sometime within the 12-week period between having witnessed Rutkowska’s demonstration in August and releasing Vista’s business editions to manufacturing, it’s difficult at present to pinpoint when that consideration was made, or for how long. For production machines and everyday usage, virtualization is a fairly new technology, and one that we think is not yet mature enough from a security perspective for broad consumer adoption. Today, customers using virtualization technology with Windows are primarily business customers addressing application compatibility needs or technology enthusiasts. For that reason, Windows Vista Home Basic and Windows Vista Home Premium cannot be installed in any virtual machine technology, but Windows Vista Business and Windows Vista Ultimate can. This is regardless of the virtualization stack, applying equally to use with Microsoft’s virtualization technology, Virtual PC, and third-party virtualization technology. Each virtual installation of Windows requires a new license just as it did for Windows XP except for Windows Vista Enterprise Edition which includes four installations in a virtual machine as part of a single license. Microsoft is committed to working with the hardware and software industry to improve the security of virtualization technologies moving forward with new hardware and software innovations. Microsoft made statements indicating it would refrain from adopting virtualization functionality with the next version of its operating system as early as Spring 2005. Although we normally don’t write about screensavers, this one by Primelabs has a cool factor mammoth enough to qualify as an exception. Twingly, as it’s somewhat perplexingly called, shows blogging activity all across the world. Judging from the video that the company put on YouTube, links to posts scroll along the left side of the screen, pointing to where they originated on the globe in the center. When the data flow is too big (which probably happens all the time), the link list won’t contain every single blog post, so don’t feel bad if you can’t see your own — you’re still adding to the yellow dots on the map. And if you ever see a post that says, “Poop on all humans,” it’s probably those darn pigeon bloggers again. PC users interested in pretending they’re in an episode of Jake 2.0 can download the saver for free from the Twingly site (no Mac version, sadly). Check out the video preview after the jump. USB shot glass: from where else but Russia? Russians love their vodka, but unfortunately there’s a big social taboo on drinking alone. Well, I guess it’s not that unfortunate, as drinking alone tends to be kind of pathetic. Unless you’re in the shower. Drinking beer in the shower is awesome, am I right guys? Guys? Anyways, in order to allow thirsty and sober Ruskies to enjoy their vodka without shame, designer Sergei Mikheev has created the USB shot glass. It tracks how much liquid is in the glass and then, while online with “drinking buddies,” reports the info online. That way your friends can peer pressure you to finish your drink in one go while allowing you to vomit in the comfort of your own home. Ain’t technology grand? If you ever thought car security wasn’t dramatic enough, this Tesla-coil automobile protector should satisfy your desire for spectacle. Attaching a 4-inch coil to a boom on the roof of his car, Australian Peter Terren created what is no doubt the coolest-looking theft deterrent to ever be built into a motor vehice. Terren captured the photo above, showing the coil’s ring of electricity (which he calls the Eye of Sauron, after the character in The Lord of the Rings), with time-lapse photography. Putting aside for a second that such a security system would be about one one-thousandth legal, the Eye would certainly scare away any casual thieves, though determined ones could probably disable it easily enough (just off the top of my head, pulling down the boom with a rope). Nonetheless, it’s definitely the most wicked form of vehicle security we’ve ever seen — even if it’s not as effective as a MagnaVolt.